The new InterContinental® Phu Quoc Long Beach Resort, Vietnam, which opened on 28 June, has plenty of activities, services, and amenities tailored especially for those travelling with children. The resort itself sits along the tail end of Long Beach, a mere 15 minutes’ drive from the international airport and 20 minutes from the island’s main town of Duong Dong. This spot along the 20 kilometre stretch of beach is a great place for families to experience picturesque tropical beaches and the pristine waters of Phu Quoc. InterContinental® Phu Quoc Long Beach Resort offers an incredible 250-square-metre Planet Trekkers Kids’ Club for families where 4-12-year-olds will be fully supervised. Activities include games and themes that introduce children to Vietnamese culture, the arts of dancing, acting, and crafting, such as conical hat and lotus lantern making to be worn and lit during the daily sunset ritual. Also featured are drama lessons, dress-ups and a show at the resort’s auditorium for their biggest fans – the parents. Water-based activities at ‘Splash!’ family pool include time on the water slide and games, feeding the Koi fish, and hunting the gnomes in the herb garden. 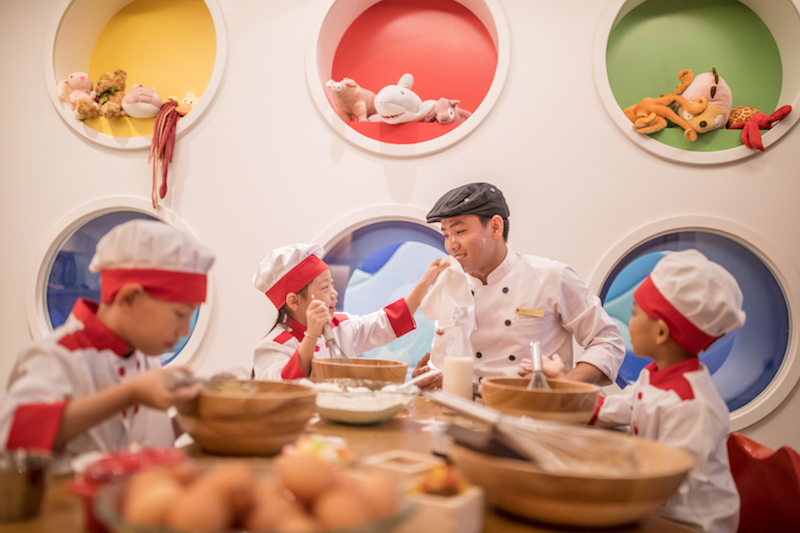 InterContinental® Phu Quoc Long Beach Resort also has a dedicated children’s dining area, which doubles as an exciting ‘Kids Can Cook’ cooking school, leaving children entertained for hours. Guided by the resort’s chefs, supervised by professional associates, children can not only learn and practice preparing their favourite treats, but also gain knowledge of local ingredients. Parents can enjoy their time relaxing at the exclusive HARNN Heritage Spa, or enjoy a glass of champagne at INK 360 Sky Bar, with 360 degree views of Phu Quoc and the surrounding waters. The resort provides a daily schedule of ever-changing recreational and watersport activities that are suited to all-ages. There is also a games room called The Hideout complete with computers, videogames and consoles, reading corner, and an extensive library of DVD movies and board games. Across the resort there are four swimming pools to choose from. Oasis pool, situated close to the beach, has been designed for a leisurely and relaxing escape and is a serene space of calm surrounded with spacious pool decks and beautiful panoramic views across the ocean horizon. The infinity lap pool Vista is ideal for an aquatic workout or leisurely laps in a calm environment, while the lively Splash! family pool has been designed specifically with children in mind. Located next to the Planet Trekkers children’s club on the northern side of the resort, the landscaped pool features fun water slides and inflatable toys to provide hours of enjoyment for younger guests. The 459 accommodations of the resort include 115 one- two- and three-bedroom suites with kitchens ideal for families of all sizes, offering multiple sleeping and dining options for parents and carers travelling with children, while a choice of luxurious villas are also suitable for multi-generational families wishing for more space and privacy. 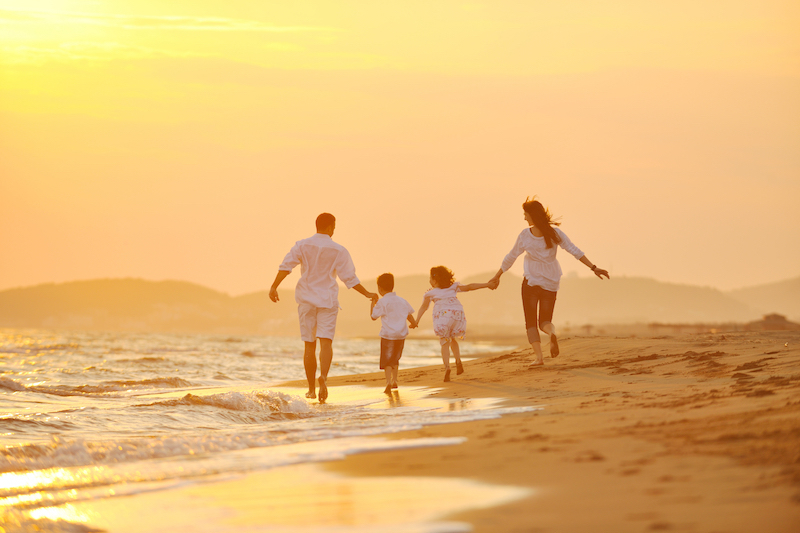 Resort Family Suite Reservations at the new InterContinental® Phu Quoc Long Beach Resort enjoy a personal welcome by a Planet Trekkers Host for children under 12 while parents enjoy a private resort and room orientation on check in. Additionally, children will receive a special Children’s Welcome Kit with an activities schedule, resort map highlighting the pools, club and games locations, a colouring book and their very own name badge sticker. All Family Suites and Club InterContinental reservations receive special bathroom amenities for children – with Johnsons Baby Shampoo, Powder, Oil, Soap and a rubber ducky for ages 0-3, and Teddy amenities and matching toothbrush for children aged 4-7. Allowing for 48 hours advance notice, parents can also choose between three room decoration themes for their children’s accommodations, including Under the Sea, Jungle Adventure or Beach Camping. When it comes to dining with children, the new InterContinental® Phu Quoc Long Beach Resort has space and menus for everyone. Children will love the pastries and sandwiches of Mercado café, as well as their picnic baskets available for family excursions. The Sea Shack on the beachfront has a marine-focused menu of tapas style BBQ and grill dishes, while Ombra by the pool serves traditional pizzas, homemade pastas and gelato to tempt all ages. At Sora & Umi, Japanese and Vietnamese cuisine is available alongside live cooking stations and features a dedicated space for children to dine and play while parents enjoy their meal. For more information or reservations, please visit www.phuquoc.intercontinental.com, or contact the resort by email reservations.icpq@ihg.com or phone +84 297 397 8888. Prices are subject to 5% service charge and 10% VAT. Offer valid to October 31, 2018.